NIU faculty, staff and students volunteers are needed to help welcome our new students and their families to campus at a brand new event, the Huskie Fall Kick-Off, set for 5:10 p.m. Friday, Aug. 19. 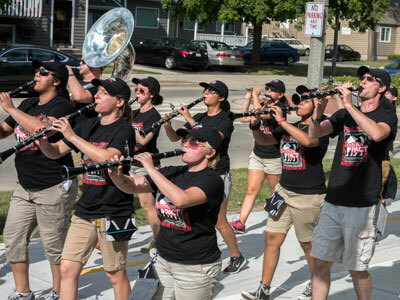 At this event, new students and families will celebrate the different NIU traditions with President Baker, faculty, staff and other new students. Immediately following the Kick-Off, new students will receive their Northern Pact t-shirts and head to the field to form a giant “NIU” for a photo. Volunteers are needed to welcome and direct new students and their families, as well as hand out Northern Pact t-shirts and help new students form the “NIU” on the turf. Training sessions for volunteers will be held on Thursday, Aug. 18, from 10:30 to 11:30 a.m. and 4:15 to 5:15 p.m. You only need to attend one of the training sessions. Please use this link, KickOffTraining, to sign-up and select your volunteer training time by Wednesday, August 17 at noon.